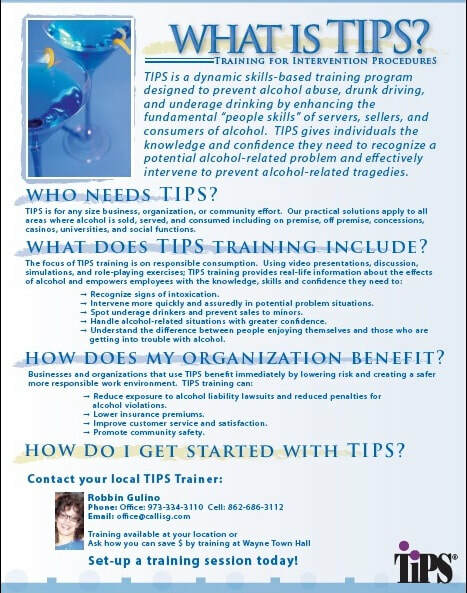 Reduce human tragedy resulting from drunkenness and drunk driving.© 2012 Health Communications, Inc. Interested in a certification class? Call-ISG 973-334-3110. In Passaic County? Ask about a grant for FREE training!